OMEGA-3 has been scientifically proven to provide EYE, BRAIN, HEART maternal health benifits.Omega-3 are essential fatty acids,which are important for good health.As your body doesn't naturally synthesizes omega-3 they must be supplied in the diet.such fatty acids are predominately found in oily fish such as salmon,Mackerel and sardines. Omega-3 is important for a pregnant woman to consume a balanced diet,containing enough nutrients to support her body's growth and devlopment, as well as maintaning her own health. Glad to have omega-3 product with us which surely provides a rich sources of the essential fatty acids DHA (Docosahexaenoic acid) and EPA(Eicosapentaenoic acid) along with many nutrients to help maintain health and wellbeing. DHA and EPA these two fatty acids are pivotal in preventing HEART DISEASE,CANCER and many other Diseases.Your brain is also highly devlopment on DHA - LOW DHA levels have been linked to depression,schizophrenia,memory loss and higher risk of developing Alzheimer's. 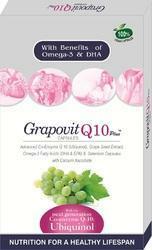 Omega 3 Fatty Acid Capsules for Healthy Brain,Eyes,Skin. 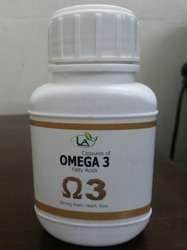 Omega-3 contains both docosahexaenoic acid (DHA) and eicosapentaenoic acid (EPA). Omega-3 fatty acids are very important in preventing and managing heart disease. Reduce the likelihood ofheart attackand stroke. Omega 3 /DHA is important fro Brain Development also.